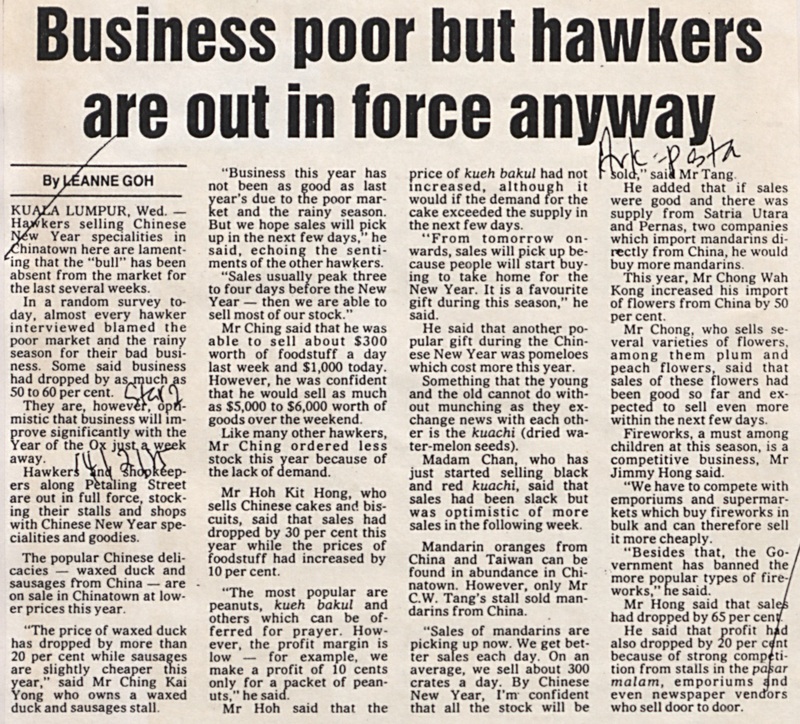 Goh, Leanne (1985) Business poor but hawkers are out in force anyway. In: Adat Resam dan Kebudayaan 1985. University of Malaya Library.